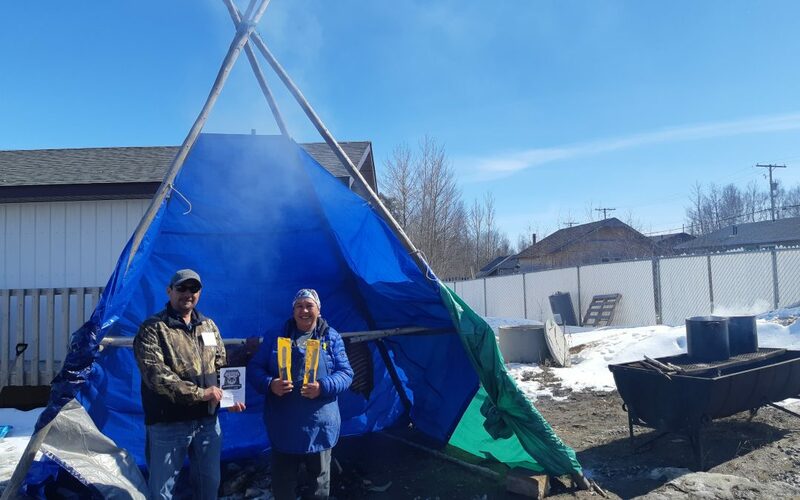 The Northern Saskatchewan Trappers’ Association held their annual convention April 12-14 at the Jonas Roberts Memorial Community Centre in La Ronge. The three-day event attracts trappers from across the province to gather feedback and promote the activity. Members took part in information sessions, an awards ceremony and interactive displays. One of the information sessions was hosted by Sarah Schmidt of Prince Albert Model Forest regarding an update on the caribou population; information was also provided in both Cree and Dene. Currently, Woodland caribou is listed as an endangered species and both the federal and provincial governments have recovery strategies in an attempt to replenish the species. For the second consecutive year, the convention also provided a youth program. Around 30 young people were in attendance and Carriere says preserving trapping is as important as preserving traditional Indigenous languages. Carriere grew up on the trapline with his late father and three younger brothers. They would spend about three months on the line but their mother also ensured the boys kept up on their studies while away from the classroom. Carriere inherited this trapline and continues to trap on it. He has worked with youth for years to pass on the traditions that his father instilled in him. Carriere adds the provincial government used to fund NSTA to the tune of $50,000 a year but has since cut all funding. Now, the association relies on money from the Prince Albert Grand Council, Federation of Sovereign Indigenous Nations and other communities to stay afloat. The annual convention itself costs upwards of $35,000 to put on. When the information sessions wrapped up, there was a feast of neckbone soup, elk and smoked whitefish caught by Carriere.